WHAT'S INCLUDED WITH THIS PLAN? 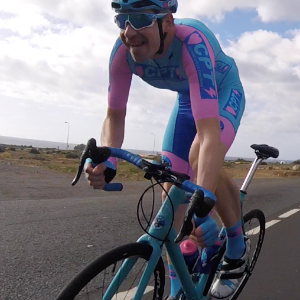 This Training Plan from CPT Cycling has been built by Training Peaks Blog author and Training Peaks level 2 Certified Cycling Coach Richard Rollinson. With experience racing MTB and later, Road since 1997, Starting in 2010 as a coach to International squad level. As an athlete he also raced to UCI 2.2 International level in the Tour of Southland. Achieving this while working full time and unsociable hours. Richard now uses this experience to manage coached riders from beginner to elite level. This knowledge has been passed into this Training Plan as it takes into account an average working week. "Thanks Richard! This is also yours for brilliant coaching, spot-on advice about how this race would develop and how to best win it." Atle Sommer; after winning the 2018 Norwegian Masters National Road Race title. Meaning that a high and low range of power target can be used and automatically exported to your favourite bike computer or indoor training app for live power targets as you ride. WHO IS THIS PLAN RIGHT FOR? This plan is designed for advanced cyclists training towards Century or Grand Fondo and optimised towards this. If this does not sound like the right plan for you, then check out the rest of Coach Richard's extensive range of plans. If you would like some guidance as to what might be the best training plan for you, then feel free to email Coach Richard. There are plans for Masters, Intermediate and Advanced cyclists as well as Base training, Criterium, various Grand Fondo events, Road Racing, TT and MTB. 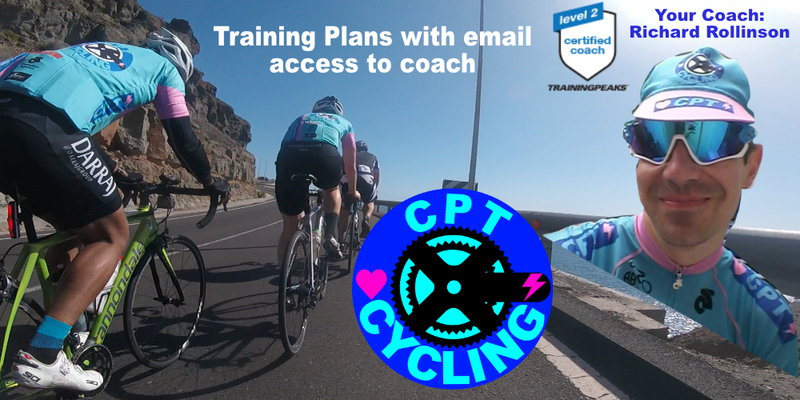 Don't forget that totally individualised plans with regular coach feedback are also available through the CPT Cycling Custom Coaching Subscriptions page. Go hard and have fun working towards your targets and achieving those goals. You can do it. Let's Go! Developing peddling technique and smoothness through skill at high crank velocity to develop speed and therefore, power efficiency. -You can occasional go over or under zone 2, but keep the ride at average in middle of zone 2 power. -Think of this like pushing weights at the gym, but in cycling specific movement. -Keep seated and hands in drops through all interval durations. -Intervals contributing to help extend long duration intensity. -Intervals can be split into different times of your own choosing or one long interval. If you do this, target total completed to match total planned duration for all intervals. Having coached cycling since 2010 and racing since 1997, I have guided riders from beginner to international level to achieve their goals through power based training. Delivering personalised plans and providing actionable feedback with expert analysis. I would love to help you achieve your next goals too.